The Conscious Cook shows that avoiding the health risks and ethical dilemmas of eating meat and dairy does not mean sacrificing taste and appetite. I tried this recipe, It’s really great. 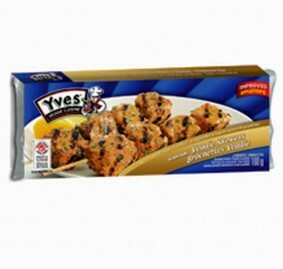 I did decide to switch my “Chicken” to the Eves Veggie Skewers because of the taste. I prefer these much better. I just wish they made them bigger!